For the second time, CIO Review Magazine has named AcuteNet as ’50 Most Promising Healthcare Solution Providers’. The 2018 recognition reinforces AcuteNet ‘s continued leadership for ushering the benefits of sharing economy to healthcare industry. 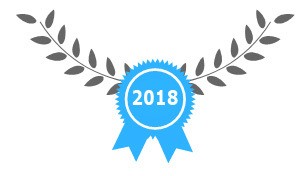 AcuteNet is the recipient ‘Best Cloud Computing Solution Silver Award’ by Computer Dealer News in recognition of its value proposition as an encrypted cloud computing infrastructure designed to bring the economic and social benefits of sharing economy to the healthcare industry. AcuteNet was named to the CIO Review’s ‘50 Most Promising Healthcare Solution Providers 2016’. This award places AcuteNet at the forefront in tackling the challenges prevailing in Healthcare. AcuteNet is the recipient of ‘Innovation & Excellence Award’ by Corporate LiveWire in recognition of its patient-centric licensing model with unlimited user access and unlimited clinical assessments from $5 to ¢1 per patient per month. AcuteNet is the recipient of ‘Healthcare Software Provider Consultancy of the Year’ by ACQ5 in recognition of its sharing economy strategy to embed security and protection of patient data into the DNA of its cloud-based Software as a Service capabilities. AcuteNet is the recipient of ‘Best Patient Data Consultancy Award’ by Corporate Vision in recognition of its technology leadership for cloud computing and open source technology to deliver right care to right patients through robust clinical assessments.